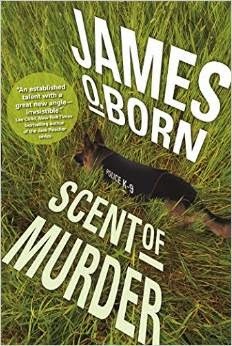 I can't wait for the new book by my friend and fellow Naked Author, Jim Born - The Scent Of Murder. OK, so I confess – the dog did it. 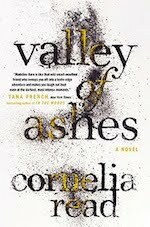 I’m a sucker for a book (or movie) featuring a dog among the cast of characters, so I won’t miss this one, because I particularly like reading about working dogs, and brave dogs. My family has always been big on dogs. The first time I ever heard my father weep, was when our dog, Lassie, was put to sleep. Dad told many tales about Lass and her mother, Bess. Bess was at my father’s side from the moment she laid eyes on him – but at that time she belonged to a gypsy, who didn't treat her well. Then one day the man saw Bess following my father along the farm road towards home, and said, “You might as well have that dog.” And that was that. Bess had found the love of her life, and he cherished her until the day she died. 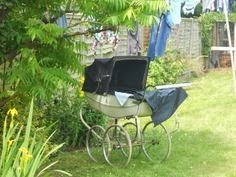 Later, when I was a child, I felt so cherished by the stories of how the dogs would guard me when my mother wheeled my pram into the garden – mothers did that in ye olden times; pushed the baby carriage to the far end of the garden so they couldn't hear the baby, then later, when you grew up, they told you it was good for you, all that fresh air when you were young. My brother is equally silly about dogs – as a boy he would be in tears before the opening credits of Lassie Come Home had ended. 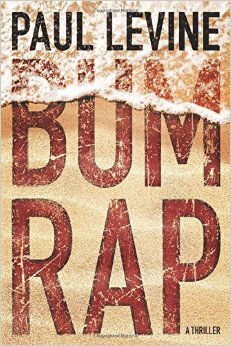 I’m earmarking Jim’s book for him, because he has a thing for German Shepherds, Belgian Mallinois, those sorts of dogs. 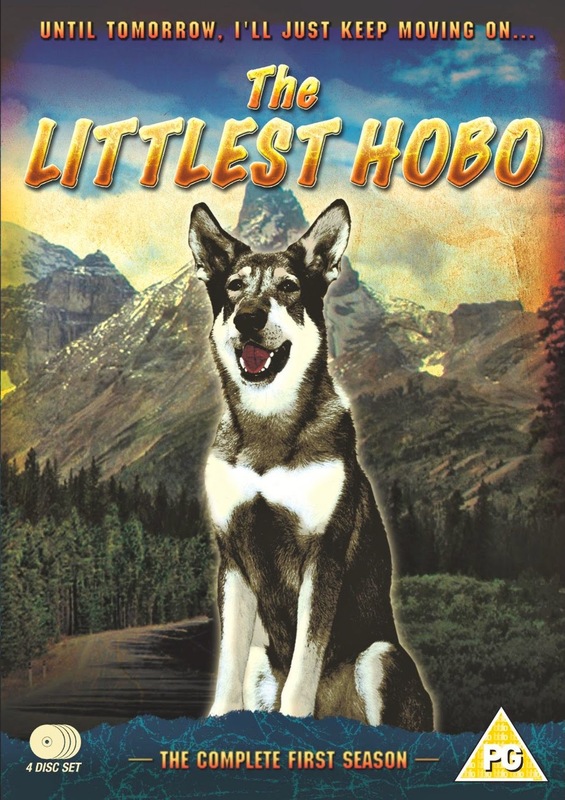 Anyone remember a TV show called The Littlest Hobo? I think it all started then. What a great story that was – not sappy, but a series of tales about a German Shepherd riding the rails. If you look back at our family photos, dogs play a fairly large part in the story. There’s one of me, about six months old, being laid down to sleep on a coat in the hop gardens, flanked by Bess and Lass, who were “on guard” from the moment I was born. Then another – I must have been about two years old – sitting on a bench with one hand on my Aunt Rose’s Alsatian – that’s what German Shepherds were called in Britain then, because when the breed first came into the country, it wasn’t done to be a German anything, but a dog from Alsace was OK. And we have photos of my brother with Rex The Wanderer – our collie cross whatever, a gorgeous dog who just liked doing a bunk whenever he was left alone in the house. While my dogs have been either Great Danes or Labradors – Labradors are a better bet, because, frankly, those giants go too soon – John, my brother, has remained faithful to German Shepherds and associated breeds. And what adventures he’s had with his dogs. His first GSD (who might have been a Mallinois cross) was an ex-Police Active League dog named Pal. Pal was to John what Bess was to my dad – at heel, never leaving his side. Then Juneau came into the picture, a massive, really huge pure white GSD, who – if truth be told – probably had a bit of draft malamute in her. Her paws were like dinner plates, and that dog had attitude. If she didn't know you, you were ignored completely. If she didn't trust you, you'd better keep well back. But she was a wimp about her feet. Touch her paw and she would go running to my brother, howling. Quincy was the third GSD in the pack, the runt rescue that no one else wanted, but he was the one who saved my brother’s life. My brother is a bit like me – he never learned to swim properly, and sort of taught himself. I can’t tread water to save my life, and neither can my brother – we were raised in a rural area without access to townie things like swimming pools. During a picnic some years ago, my brother went for a dip in the river, lost his footing and began to go under, the water pulling him down and along. Quincy, who had not taken his eyes off John, leaped into the water and began to pull him up. Juneau followed, all 140lbs of white fur flying through the air to help Quincy keep my brother above the water. Pal took off to find my brother’s then girlfriend, who had gone for a walk – she ran back in time to splash into the water and together with the dogs, dragged John to safety. When their time came, each one of those dogs died in my brother’s arms. Many of you have read about my dog Sally, who went to the big kennel in the sky some six years ago, and of course now we have Maya, our “challenging” rescue Labrador who became the most terrific dog in the world. 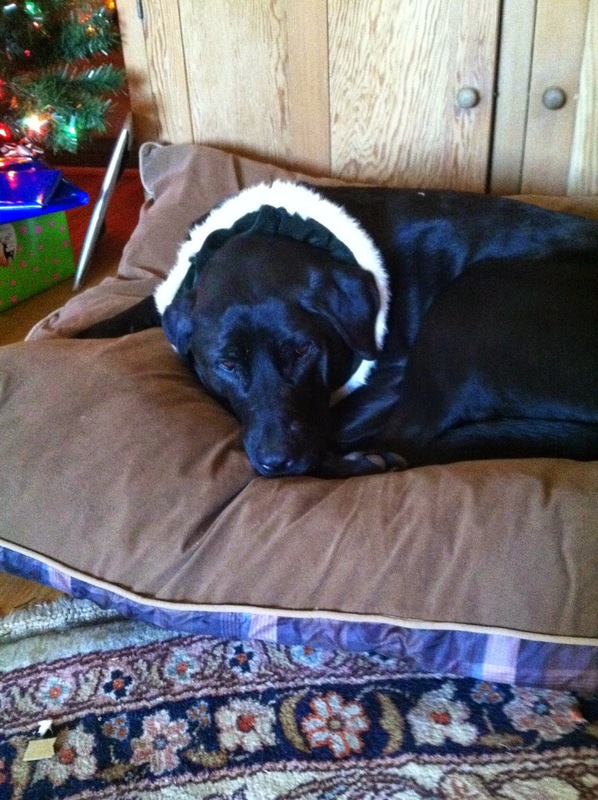 This is Maya in her Christmas finery, and not terribly amused either! But my brother wanted a GSD, so Shiloh, another rescue, came into their lives and took to being a “sibling” to a massive Newfie with a heart of gold. Shiloh goes to work with my brother each day, and Hank guards the house, sort of – he may be a big softie, but the “big” is very big, and a huge deterrent. With this love of all things dog, I buy my brother a lot of dog books, and last year for Christmas I found the DVD set of The Littlest Hobo. 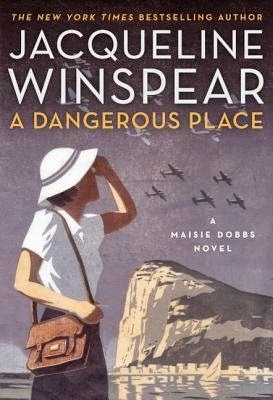 He and Angella, his wife, loved Suspect by Robert Crais, featuring the inimitable Maggie (let me tell you, one of the very best character studies I have come across). …. 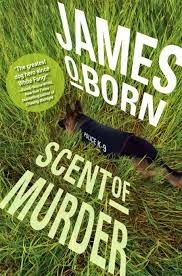 and now, of course, I’ll be sending them Jim’s book, The Scent of Murder, which I think is due out on April 7th. Oh, and I didn't write this post just to go on about the book of a fellow Naked Author (he will probably be surprised), but, as I said, I like books about working animals. I guess it’s that thing about love, loyalty and commitment – if a dog gives you the best of him/herself, you are cherished forever. 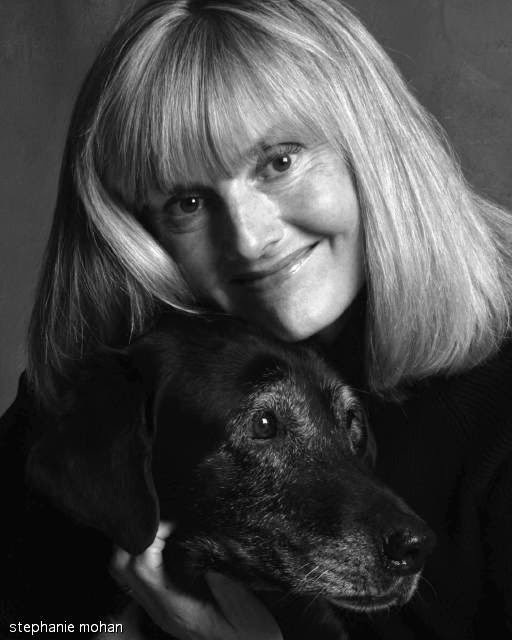 That’s me with my dear old Sally – as featured in the book “Cherished: 21 Writers on Animals They Have Loved And Lost” edited by Barbara Abercrombie. Thanks, Jackie, that was very nice. 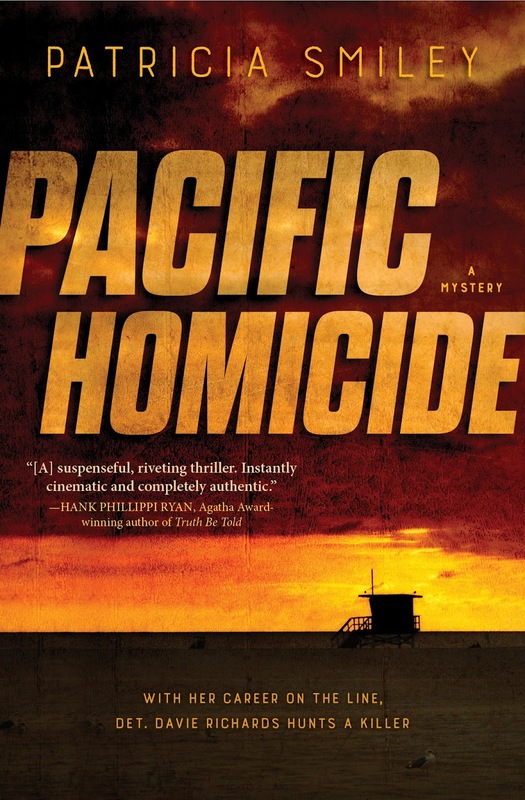 from Jacqueline: Can't wait to read the book, Jim. Your post about your research for this book was really interesting. But what of working cats? You know—the ones who work the system for treats and who wake their people at oh-dark-thirty in the morning to warn them that the food bowl is empty? Someday I might tell you the harrowing story of how my kitty Riley-girl saved her sister Scooter's life. It will make your heart race. from Jacqueline: Oh yes, we had a working cat once - Delderfield. My husband was reading a book by R.F. Delderfield when this very cute calico walked up to the porch and made it very clear that she would like to live with us. We did all the right things to find a) her rightful owner b) any other owner. But we were clearly destined to be all together, so she came home and barely let us out of her sight from that time on. She adored Sally, following her everywhere, and not surprisingly, Deldy died only months after Sally. We still miss that "working" cat very much indeed. And yes, Patty - tell us that story soon - I think another post about your cats is in order! Oh, I would have loved Deldy the cat, as I too am a huge fan of RFD's work....Maybe I need to go back and revisit those lovely stories. Your memories of the dogs in your life touch my heart. I have not had dogs, but many lovely cats...and yes, they do "work the system" very efficiently. Jackie, how wonderful to read about your family pets. I remember the Lassie movies and the Benji movies. About the dogs guarding you when you were a baby, I was reminded of my first trip to England in the 1980s. I stopped in a bookstore and there was a children's book about dogs. I think there was a collection of stories. One story was about a dog guarding baby Prince William when he was a baby. I saw a photo of the Princess of Wales and Prince Charles with baby Prince Harry and a little dog. William was also in the photo. Now That William and Kate have a young family, they also have a cute black Labrador named Lupo. Speaking of working dogs, I think there are two organizations near you in the north bay. Guide Dogs for the Blind and Canine Companions. I grew up with a dog that looked like the sheepdog from the movie Babe the Pig. My dog was half German shepherd and half collie. Thank you for sharing these wonderful stories. from Jacqueline: I think Lupo is a black English cocker spaniel - a very lovely breed. 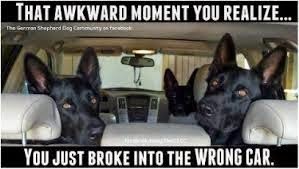 I think a German shepherd/collie mix is a very good dog indeed - and I often see the guide dogs in training in San Rafael. They are so intent upon their purpose, it's quite amazing to watch them and their trainers/handlers in action.